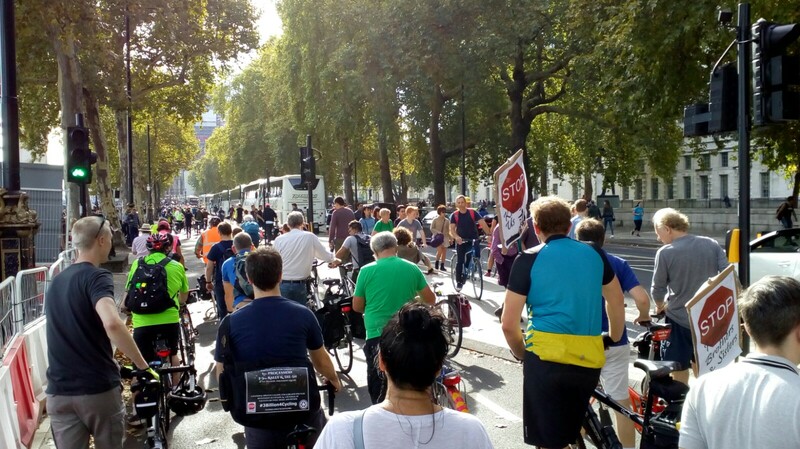 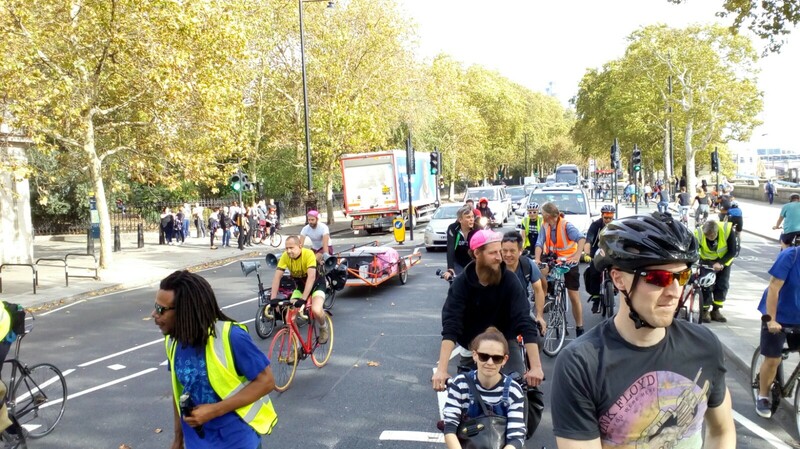 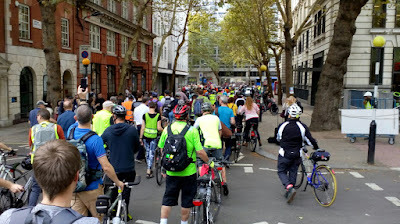 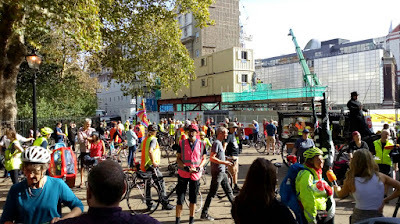 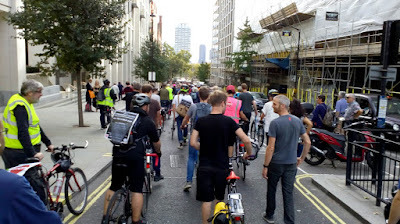 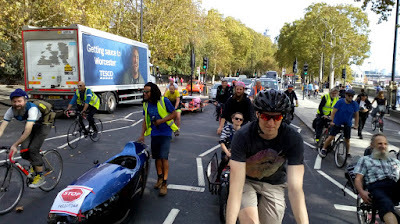 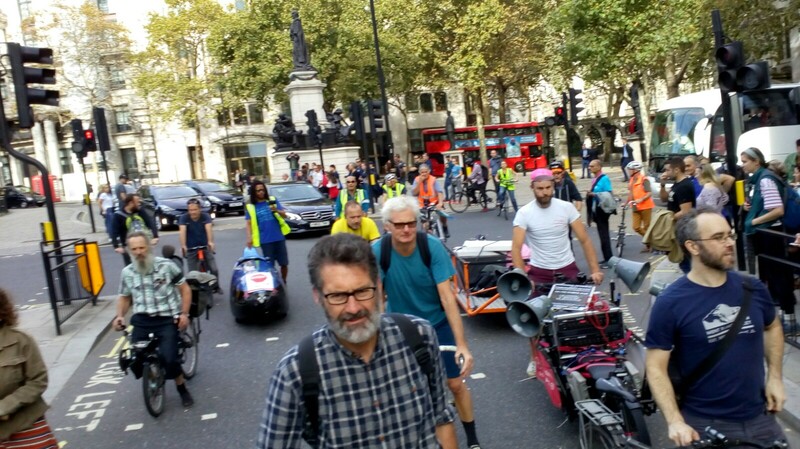 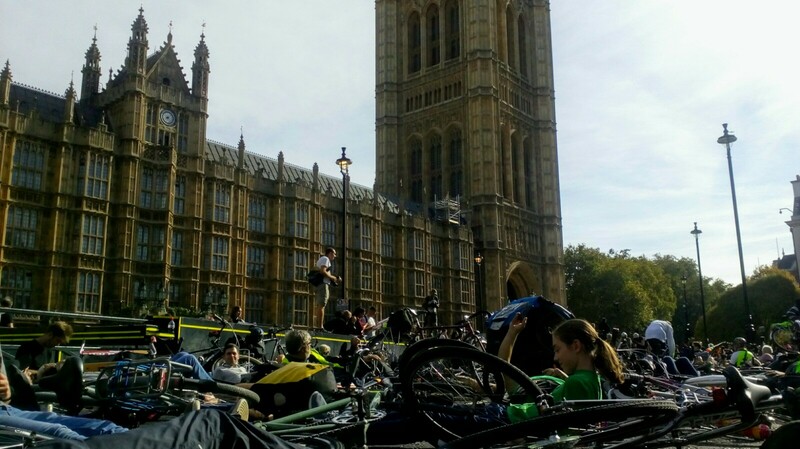 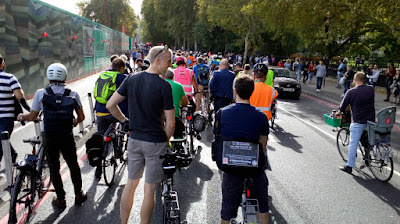 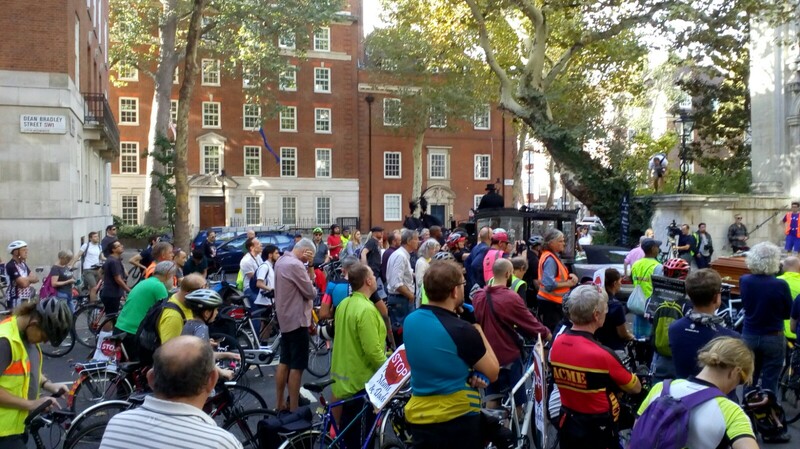 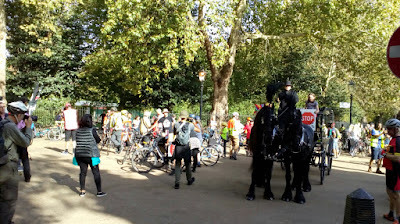 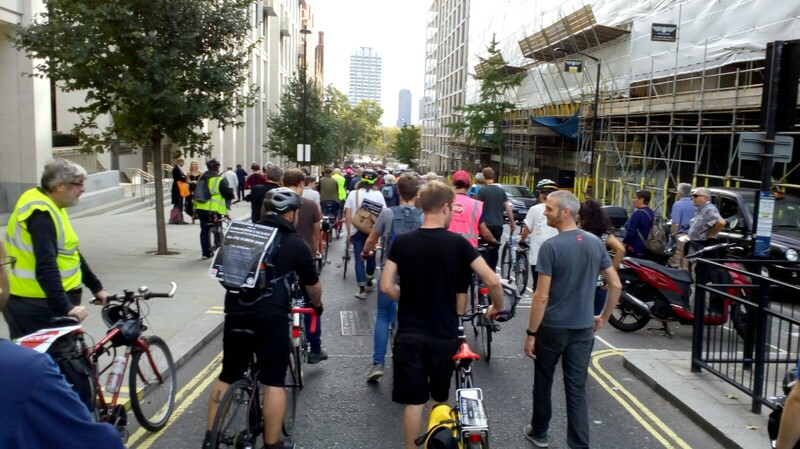 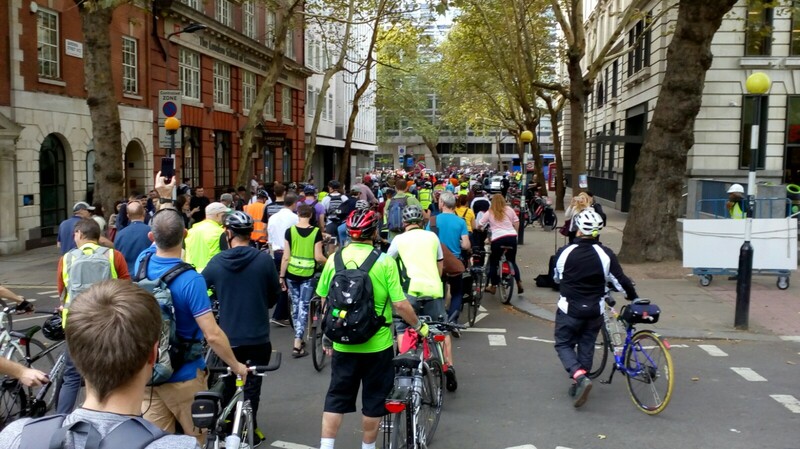 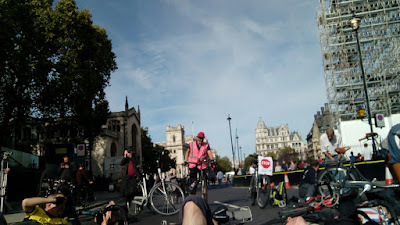 Yesterday, I joined the Stop Killing Cyclists 'Pedal on Parliament' and Funeral for the Unknown Cyclist. 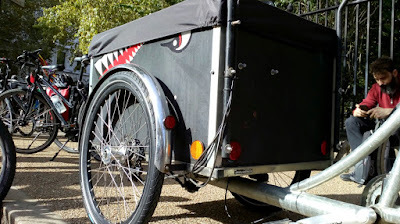 The ride had two simple messages - for the investment of £3 billion per year in cycling and the reversal of the fuel duty freeze which has been in place for almost a decade and could lose the Treasury £38bn over the next three years. 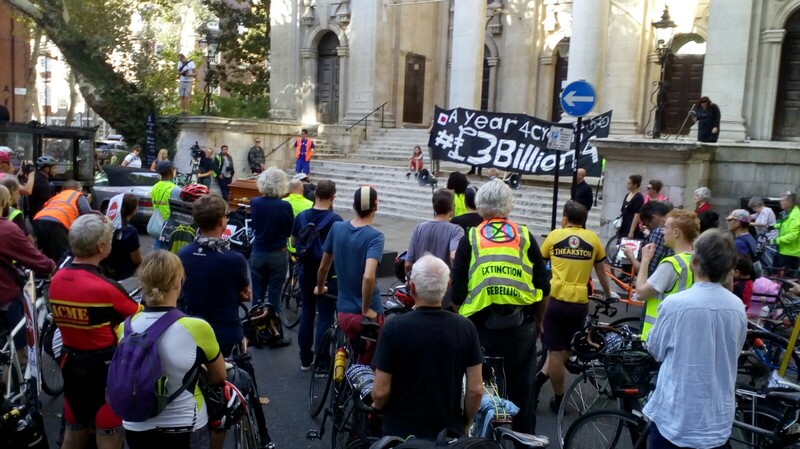 £3bn looks like a lot of money, but against other national budgets it is peanuts - just over £35bn on defence and £122bn for the NHS in England alone; to name just two areas of spending. 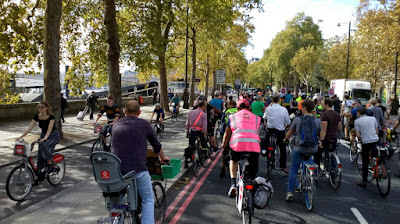 We all know that investment in active travel and public transport can have significant positive impacts on the health of the population for a relatively modest investment; and it has the opportunity to reduce transport poverty, severance by large roads and casualty-reduction. This is as well as the small (and rarely reported) impacts of quieter neighbourhoods where kids can play in the street and people can have those chance social interactions that build communities. It seems to me that £3bn a year would be money well-invested.